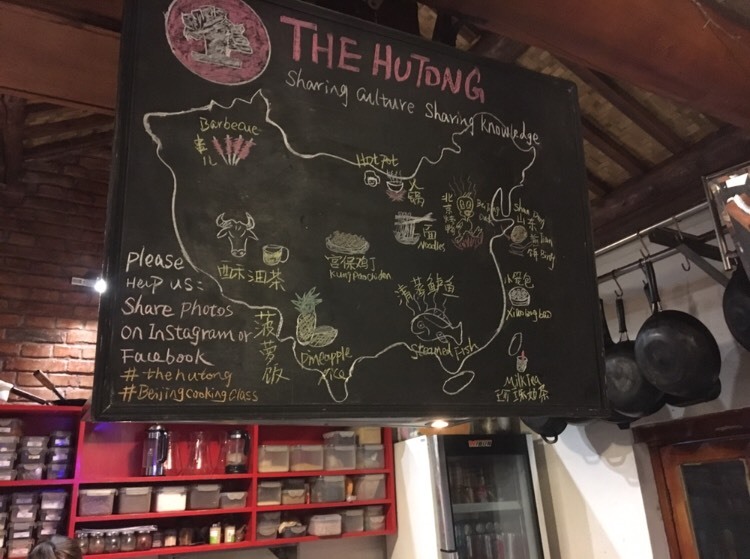 You are at:Home»Things to Do»Dining»The Hutong: Good Food, Good Company, and Good Times! Whenever I travel to a new destination, I like to take a cooking class and learn how to whip up a selection of local dishes for myself. I find cooking good food with good company a real pleasure. Maybe it’s because such experiences remind me of back in the day, when I would team up with my sisters to work wonders in our parent’s kitchen. 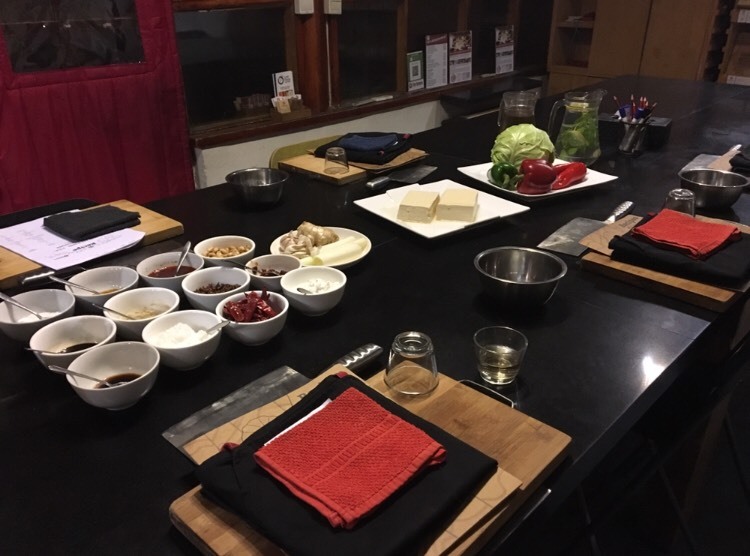 When the opportunity to attend a cooking class at The Hutong presented itself, I was determined not to let it pass me by. Undeterred by my failure to rally a companion to accompany me, I headed off solo. If you don’t already know, The Hutong is a cultural center located in the heart of Beijing. In addition to cooking classes, they facilitate a wide range of other activities. These include team building events, educational programs, guided trips to various parts of China, tea tours, movie screenings, and workshops. On the evening that I visited, they happened to be hosting a cooking competition for a group of lively high school students. The kitchen in which our class was to take place was set up with impeccable attention to detail. There were four participants, including myself. Each of us had a cleaver, a chopping board, and an apron waiting for us upon arrival. 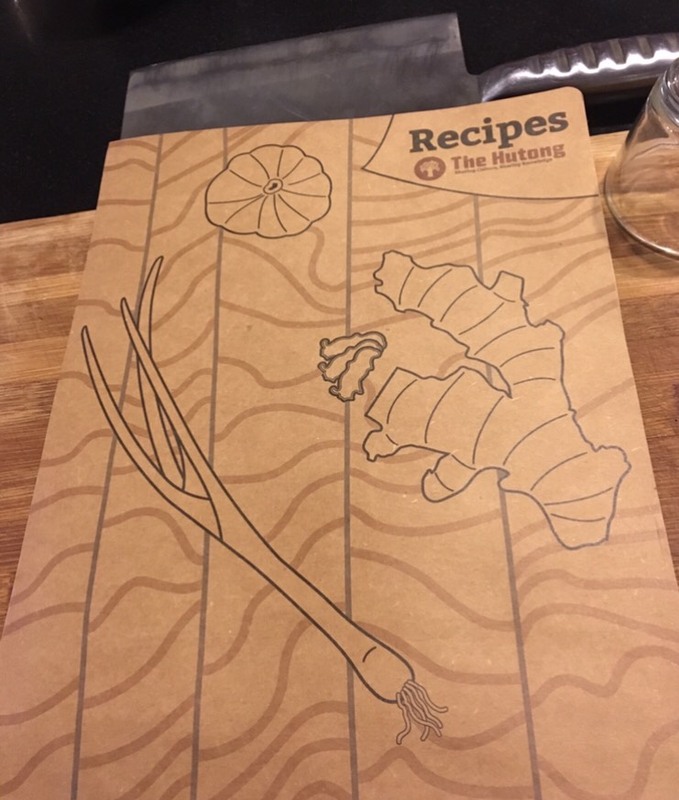 We were also given printed copies of the recipes so that we did not have to concern ourselves with studious note-taking during the class. The friendly teacher began with a brief introduction to Chinese cooking, and the different regions from which the country’s popular dishes originate. The talk was informative but not in a tedious “university lecture” way. The Hutong hosts several different Chinese culinary classes. I opted for a class that showcased Sichuan cuisine. 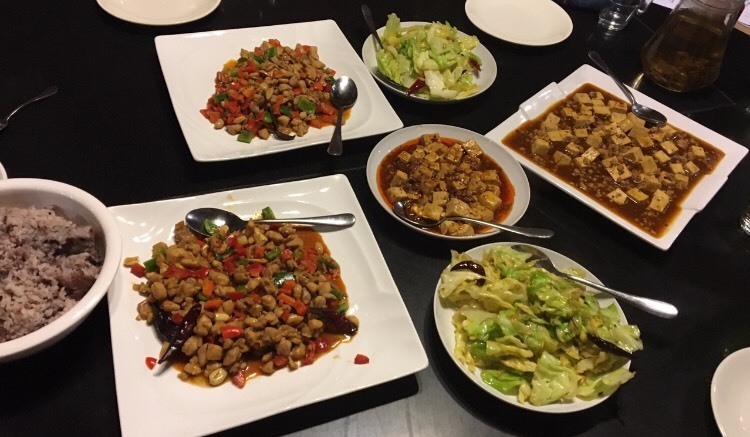 Each of the three dishes that we cooked featured the signature red chili peppers and tongue-numbing peppercorns which work together to give Sichuan food the fiery flavor for which it is renowned. The class was very practical and hands on. All participants had the opportunity to chop, crush, marinate and exhibit creative wok skills. The class fee of RMB 300 included complimentary soft drinks and hot tea. The first dish we cooked was Ma Po Dofu (a spicy dish comprised of cubes of tofu and ground pork). The Hutong staff is good about accommodating different dietary requirements, and so my portion omitted the pork. Once this dish was completed, we moved on to a timeless classic: gongbao chicken. We plated up our rendition of this famous creation and left it steaming on the table. It was now time for the finale: stir-fried cabbage with a Sichuan twist. And then we were done. We circled the long wooden table and spent a moment admiring our handiwork. Photographs were taken, a large bowl of rice added to the mix, and it was time to tick off the last item on our checklist… feast! I could not think of a better way to conclude an exceptional evening.